Agmin Chelates explains why the role of micro nutrients is so important to producing healthy crops and yields. Micro nutrients are generally used in lesser quantities than macro nutrients, however that doesn’t mean that they are any less important. Micro nutrients have an essential role to play in the development of plants and help to establish an optimum, healthy crop. 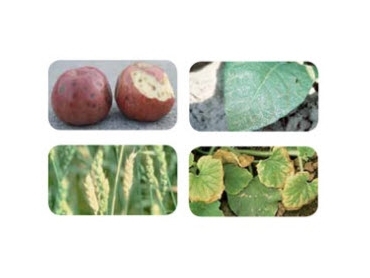 Zinc has many functions including helping to increase leaf and fruit size and improve quality. Zinc is necessary for synthesis of protein and growth hormones. Boron, which is essential for normal seed and cell wall formation, as well as affecting the nitrogen levels of the plant. Iron works as an oxygen carrier and also as an activator for respiration controlling enzymes. Manganese helps plants to effectively utilise nitrogen within the plant, as well as being essential for the uptake of Magnesium and Phosphorous. Copper improves flavour of fruits and vegetables. It also assists in chlorophyll production and as such holds a major function in photosynthesis. Molybdenum, in small quantities helps with reducing nitrates in to ammonium; essential for preventing a deficiency in Nitrogen. A deficiency in necessary micro nutrients can be detected through soil and plant tissue testing. It is a proactive way to optimise crop production and minimise fertiliser application and nutrient imbalance. Visit the Agmin website to find out more about its micro nutrient products, testing and application.